Jimmy Jibs are lightweight, portable, and can support camera payloads up to 50lbs with the native head. The included broadcast remote head offers remote operation of pan, tilt, focus, zoom, and iris as well an optional 120˚ Z-Axis Dutch (must be notified in advance). We also offer a Mitchell plate adapter for mounting any remote head, including the MoVI Pro and Ronin 2 as well as a Mitchell plate adapter for the base to mount to a dolly. 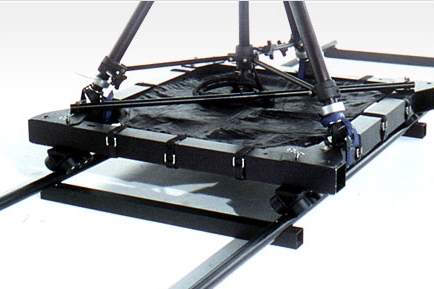 The Jib can be built from 4' to 40' depending on the needs of production and can be "camera-ready" in just 40 minutes. The standard-package comes with an off-road tri-wheel base that can be repositioned with ease. Long-term studio lease agreement available. Transported in Mini-Van for NYC parking convenience.